Smartphone manufacturers may be slowing moving towards 4,000 mAh batteries as the new standard. But, we’re not quite there yet and the average smartphone user is still screaming in agony for a big battery. Well, that day may have come. The Energizer P18K is a smartphone that comes with a 18,000 mAh battery. No, this is not a joke. So, let’s check it out. Look at the sheer size of this thing! We all obviously wanted a phone with a bigger battery. But, isn’t this going a bit overboard? And let’s not even talk about the name. We didn’t exactly measure it with other phones. But, it looks like you can easily fit 3 normal-sized smartphones in there. This is so big that you could probably use it as a weapon. It’d be like throwing a brick. And you know what’s the funniest part? Lots of smartphone manufacturers nowadays will ditch the headphone jack in favor of slimness, thinner bezels, and even weight reduction. 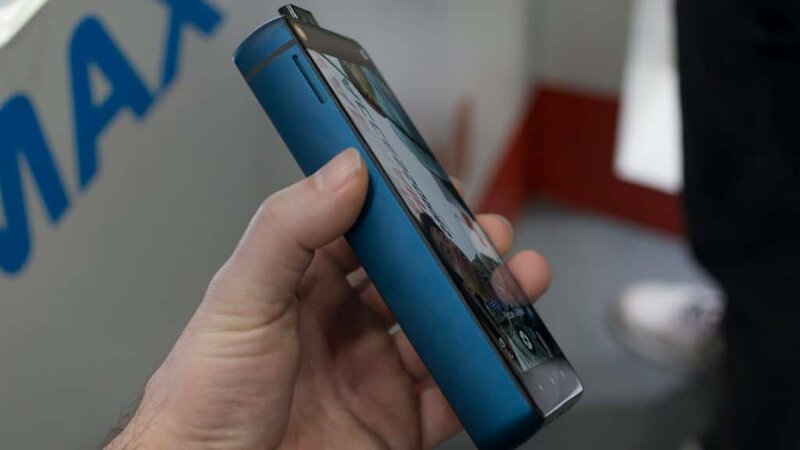 However, despite how big this phone is, there is no headphone jack to be seen. Yes. We get it. Most of its size is just so that it’ll be able to host that big battery. But, still. You can’t deny that it’s rather funny. Overall, the Energizer Power Max P18K Pop is so big that it’s likely going to be unusable for most of us. Can you even fit it in your pocket? If you are walking around with saggy pants, maybe. But, your average jean doesn’t stand a chance. Never mind tight blue jeans. We get it. This is a big phone with a big battery. But, how does it fare in other aspects like design, specs, cameras? First things first, let’s take a look at the design. 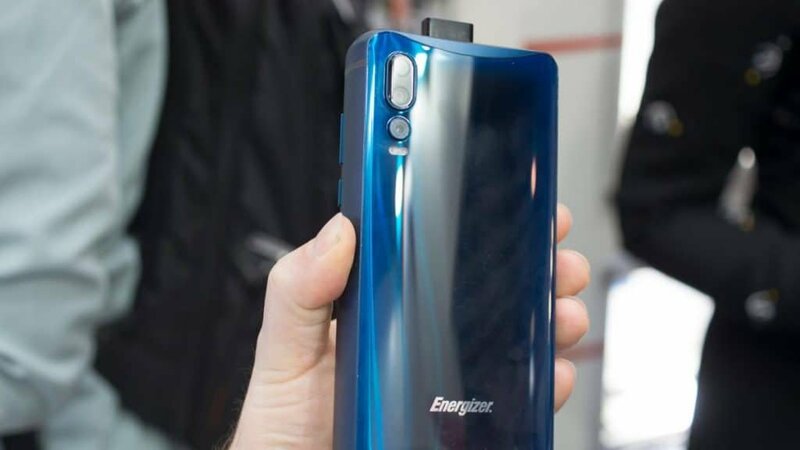 As you can see in the image above, the Energizer Power Max P18K uses a full-screen design and a mechanical motor that’s used for bringing up the two selfie cameras. This is where another problem comes up. The Vivo Nex was one of the first smartphones ever to use this design. One of our first worries was the endurance of the mechanical motors. And while the Nex has yet to show signs of a faulty design, at least on a big scale. But, the Power Max P18K is already showing signs of wear. Or at least that’s according to the Verge. There is always the argument that this was just a prototype and that other people were pushing down the cameras, which you are not supposed to do. But, still, that doesn’t change the fact that you need to be extra careful while using this phone. 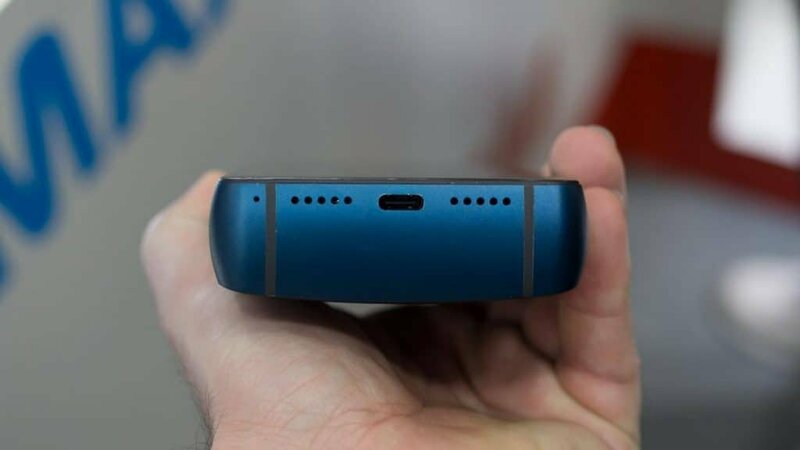 Apart from that, we also got a triple camera setup on the back, a USB Type-C port, a fingerprint scanner on the right side, and that’s about it. The cameras of this phone are definitely not bad. You get a triple setup on the back with the main sensor being at 12MP and the secondary sensors coming in at 5 and 2MP respectively. We know that the 2MP camera is acting as a depth sensor but we’ve got no info on the 5MP one. Probably an optical zoom sensor or an ultrawide camera. As for specifications, you’d think that something so big would pack a decent level of performance. But, it seems like the Energizer Power Max P18K Pop falls short on that as well. It definitely looks good on paper because it comes with an octa-core Mediatek chipset and 6 gigs of RAM. However, numerous people have mentioned that performance is subpar at best. There is quite a lot of glitching. This could be due to multiple reasons. The most likely cause it the Mediatek chipset. As we’ve mentioned before, those are often not the best when it comes to performance. If you compare a mid-range octa-core Mediatek chipset with a mid-range Snapdragon chipset, the difference in performance is night and day. Other causes like badly made software or bloatware could be there to blame as well. Speaking of which, we know that the phone is coming with Android Pie. But, we don’t know what kind of skin it has with it. So, we wanted a big a battery and we got it. The problem is that it’s obviously a bit too big. That may sound kinda ironic, but it’s the truth. Why is it that most manufacturers either deliver a super skinny 3,000 mAh phone or a 18,000 mAh brick? Something in the middle would definitely be more appealing. We’d love to recommend the Energizer Power Max P18K. However, its incredible size, slow performance, and the badly made mechanical motor are making it hard to do so. Still, for those of you who are still interested in it, we’re expecting to see a global release somewhere during June.